Visit Outer Reef Yachts at the 2017 Yachts Miami Beach to tour a newsworthy Classic 820 Cockpit Motoryacht! 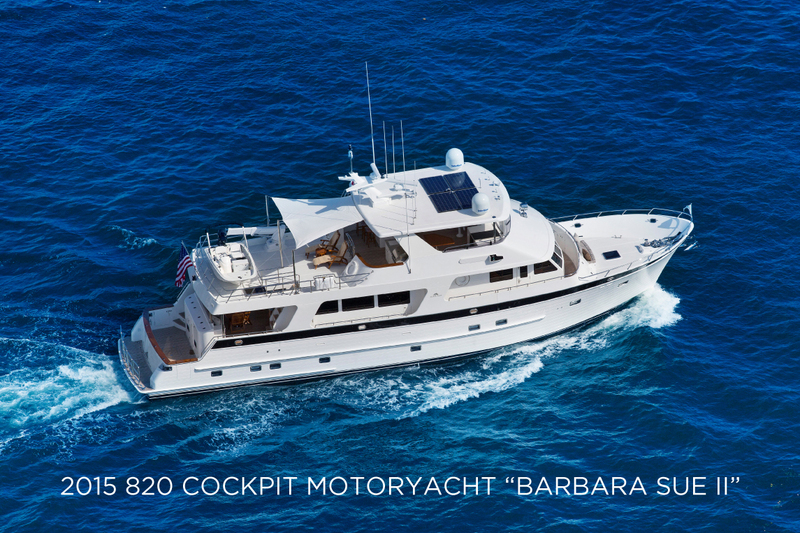 Outer Reef Yachts will showcase the exemplary 820 Cockpit Motoryacht, "Barbara Sue II", available for sale and immediate delivery, at the Yachts Miami Beach International Boat Show February 16 – 20th, 2017. Front and center on Collins Avenue, you will experience this magnificent yacht’s unique attributes, as she truly reflects the highest quality and sea keeping ability in her class. With almost $600,000 in interior décor and factory upgrades, "BARBARA SUE II" is one of the most customized yachts Outer Reef has built to date. With $250,000 in navigation and audio-visual equipment, she is state of the art, with many systems still under manufacturer's warranty. Every door hinge and latch was upgraded, and a custom mix of teak and wenge wood throughout makes "BARBARA SUE II" an instant classic. Click here to see the video. Outer Reef Yachts invites you to experience this impressionable yacht in person – please preregister your visit today. Outer Reef Yachts sales personnel will be at the show to share information about this and other yachts within the Outer Reef Yachts Classic and Trident Series.